Dentists should always be prepared to give appropriate advice to the public about first aid for avulsed teeth. An avulsed permanent tooth is one of the few real emergency situations in dentistry. In addition to increasing the public awareness by mass media campaigns, healthcare professional, parents and teachers should receive information on how to proceed following these severe unexpected injuries. Also, instructions may be given by telephone to parents at the emergency site. The poster “Save a Tooth” is written for the public and is available in several languages: Spanish, English, Portuguese, French, Icelandic, Italian, and can be obtained at the IADT website: https://www.iadt-dentaltrauma.org. Leave the tooth in place. Clean the area with water spray, saline, or chlorhexidine. Suture gingival lacerations if present. Verify normal position of the replanted tooth both clinically and radiographically. Apply a flexible splint for up to 2 weeks. Administer systemic antibiotics. Tetracycline is the first choice (Doxycycline 2x per day for 7 days at appropriate dose for patient age and weight). The risk of discoloration of permanent teeth must be considered before systemic administration of tetracycline in young patients (In many countries tetracycline is not recommended for patients under 12 years of age). In young patients Phenoxymethyl Penicillin (Pen V) or amoxycillin, at an appropriate dose for age and weight, is an alternative to tetracycline. If the avulsed tooth has been in contact with soil, and if tetanus coverage is uncertain, refer to physician for a tetanus booster. Initiate root canal treatment 7-10 days after replantation and before splint removal. Soft food for up to 2 weeks. Use a chlorhexidine (0.1 %) mouth rinse twice a day for 1 week. Root canal treatment 7-10 days after replantation. Place calcium hydroxide as an intra-canal medicament for up to 1 month followed by root canal filling with an acceptable material. Alternatively an antibiotic-corticosteroid paste may be placed immidiately or shortly following replantation and left for at least 2 weeks. Splint removal and clinical and radiographic control after 2 weeks. Clean the root surface and apical foramen with a stream of saline and soak the tooth in saline thereby removing contamination and dead cells from the root surface. Irrigate the socket with saline. Examine the alveolar socket. If there is a fracture of the socket wall, reposition it with a suitable instrument. Replant the tooth slowly with slight digital pressure. Do not use force. Verify normal position of the replanted tooth both, clinically and radiographically. Apply a flexible splint for up to 2 weeks, keep away from the gingiva. Administer systemic antibiotics. Tetracycline is the first choice (Doxycycline 2x per day for 7 days at appropriate dose for patient age and weight). The risk of discoloration of permanent teeth must be considered before systemic administration of tetracycline in young patients (In many countries tetracycline is not recommended for patients under 12 years of age). In young patients Phenoxymethyl Penicillin (Pen V) or amoxycillin, at appropriate dose for age and weight, is an alternative to tetracycline. Soft food for up tp 2 weeks. Delayed replantation has a poor long-term prognosis. The periodontal ligament will be necrotic and can not be expected to heal. The goal in delayed replantation is, in addition to restoring the tooth for esthetic, functional and psychological reasons, to maintain alveolar bone contour. 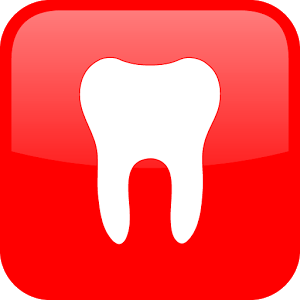 However, the expected eventual outcome is ankylosis and resorption of the root and the tooth will be lost eventually. Remove attached non-viable soft tissue carefully, with gauze. 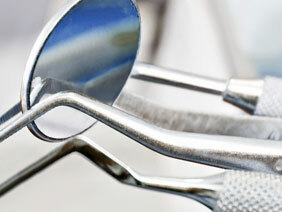 Root canal treatment can be performed prior to replantation, or it can be done 7-10 days later. Verify normal position of the replanted tooth clinically and radiographically. Stabilize the tooth for 4 weeks using a flexible splint. To slow down osseous replacement of the tooth, treatment of the root surface with fluoride prior to replantation has been suggested (2 % sodium fluoride solution for 20 min. Avoide participation in contact sports. Use a chlorhexidine (0.1%) mouth rinse twice a day for 1 week. Ankylosis is unavoidable after delayed replantation and must be taken into consideration. In children and adolescents ankylosis is frequently associated with infraposition. Careful follow-up is required and good communication is necessary to ensure the patient and guardian of this likely outcome. Decoronation may be necessary when infraposition (> 1 mm) is seen. For more detailed information of this procedure the reader is referred to textbooks. Suture gingival laceration if present. Apply a flexible splint for up to 1-2 weeks. If the avulsed tooth has been in contact with soil and if tetanus coverage is uncertain, refer to physician for a tetanus booster. The goal for replanting still-developing (immature) teeth in children is to allow for possible revascularization of the tooth pulp. If that does not occur, root canal treatment is recommended. For immature teeth, root canal treatment should be avoided unless there is clinical or radiographic evidence of pulp necrosis. Clean the root surface and apical foramen with a stream of saline. Topical application of antibiotics has been shown to enhance chances for revascularization of the pulp and can be considered if available (minocycline or doxycycline 1 mg per 20 ml saline for 5 minutes soak). Replant the tooth slowly with slight digital pressure. Suture gingival lacerations, especially in the cervical area. The goal for replanting still-developing (immature) teeth in children is to allow for possible revascularization of the pulp space. The risk of infection-related root resorption should be weighed up agains the chances of revascularization. such resorption is very rapid in children. If revascularization does not occur, root canal treatment may be recommended. Delayed replantation has a poor long-term prognosis. The periodontal ligament will be necrotic and not expected to heal. The goal in delayed replantation is to restore the tooth to the dentition for esthetic, functional , and psychological reasons and to maintain alveolar contour. The eventual outcome will be ankylosis and resorption of the root. Remove attached non-viable soft tissue with gauze. Root canal treatment can be carried out prior to replantation or later. If the avulsed tooth has been in contact with soil or if tetanus coverage is uncertain, refer to physician for evaluation of the need for a tetanus booster.